Was 'Reasonable Doubt' Reasonable in the Casey Anthony Verdict? Was the Casey Anthony Verdict ‘Reasonable’? I do not typically blog about trials and jury verdicts but the Casey Anthony case has captured the imagination of the public. In many respects it represents a Greek tragedy that unfolded before our very eyes. Talk shows such as Headline News (HLN), a sister television station of CNN, couldn’t get enough of the tragic events surrounding the death of little Caylee. Ordinary people were texting, tweeting, and commenting on their Facebook page. Fueled by frenzy via social media, there were hundreds of thousands of viewings of YouTube postings within hours of the verdict. A popular ethics blog, Ethics Alarms, spoke up for the much criticized jury verdict. That prompted me to post a reply explaining my own perspective based on how to define the virtue of “reason.” Here are those postings. 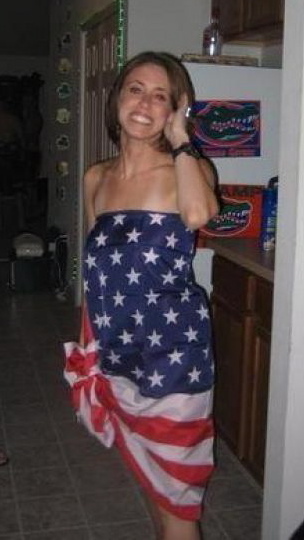 America saved Casey Anthony, and we should be glad it did. A Florida jury pronounced Casey Anthony not guilty of murder, aggravated child abuse or aggravated manslaughter in connection with the 2008 death of her two-year-old daughter, Caylee. It did find that she had lied to investigators and police, which was well-established during the trial. Did she murder her daughter, as the prosecution claimed? Oh, sure she did; I don’t think any of the jury members will be asking Anthony to babysit for their kids any time soon. But the case against her was circumstantial. She was proven to be a liar, irresponsible, feckless, self-centered, deluded and callous, and the prosecution’s theory made a lot more sense [than] the defense’s alternative scenario. Still, there was not enough evidence to find Casey Anthony guilty of murder beyond a reasonable doubt. That’s the standard, not “it’s almost certain that she did it.” Despite all the media pundits who said it would be a slam-dunk conviction, despite all the community sentiment to make the party girl mother pay with her life for killing her child, the evidence to meet the intentionally tough standard of American justice just wasn’t there. Already, reporters and commentators are comparing the verdict to the O.J. Simpson trial. Wrong. Simpson was guilty beyond a reasonable doubt, and no fair examination of the evidence presented would yield another verdict. In that case, a badly-selected, biased, dim-bulb jury was ill-served by amateurish prosecutors and an inept judge, then manipulated by three of the most effective, ruthless criminal defense lawyers on earth. Simpson was guilty of a double murder, and got away with it because of ineptitude and stupidity. Casey Anthony killed her daughter, and got away with it because the criminal justice system worked. The jury in the Anthony trial did the right thing, even though it benefited an evil woman. In America, simply knowing someone is guilty isn’t enough, and we are all safer because of it. We owe a debt of gratitude to the twelve jurors for upholding one of the most important traditions of our justice system, when everyone was calling for them to do otherwise. 1. Capable of reasoning; rational: a reasonable person. 2. Governed by or being in accordance with reason or sound thinking. 3. Being within the bounds of common sense. 4. Showing reason or sound judgment. 4. To think or argue in a logical manner. 1. To convince, persuade, etc., by reasoning. 2. To bring (someone) to reason, to induce a change of opinion in (someone) through presentation of arguments; convince. 3. In accord with reason; justifiable; proper. These seem to be more applicable to the role of attorneys in our criminal justice system. In the end, it’s the system we have and is built on the premise that the wrongful conviction of a single innocent person is ten times worse than a guilty person going unpunished.